Russian carrier Yamal Airlines has received another Sukhoi Superjet 100 (SSJ100) Russian regional jet. The aircraft, which comes in the long-range version, is serial number 95131 (registered as RA-89081). The airframe is being leased through the State Transport Leasing Company (GTLK) for 12 years. It carries 100 passengers in coach. According to Flightradar24, the aircraft was put into operation on November 10 and is based at Moscow’s Domodedovo airport. 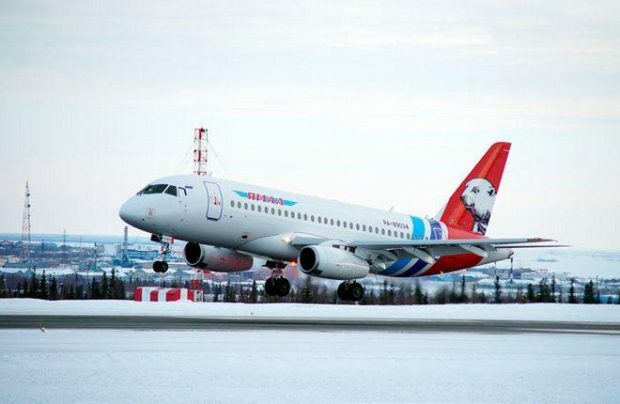 Information available to Russian Aviation Insider suggest the newly delivered SSJ100 beaome the eighth of the type in Yamal’s fleet. The other airframes of the type are RA-89068, RA-89069, RA-89070, RA-89071, RA-89072, RA-89073, and RA-89035. The latest delivery was originally intended for Russia’s new regional carrier, Azimuth Airlines. All aircraft for Yamal are leased through GTLK. The regional administration says that the carrier “is taking part in the pilot government program to replace foreign-made aircraft with Russian equivalents.” The agreement between the carrier and the lessor calls for the delivery of another 13 of the type by year-end. Yamal’s fleet also includes six Airbus А320s, three А321s, two Boeing 737s, 10 СRJ200, and a single Challenger 850.